Jürgen Klopp has called for another combined effort to help Liverpool sign off from 2018 in style against Arsenal this evening – and warned any drop-off will be punished by the visitors. 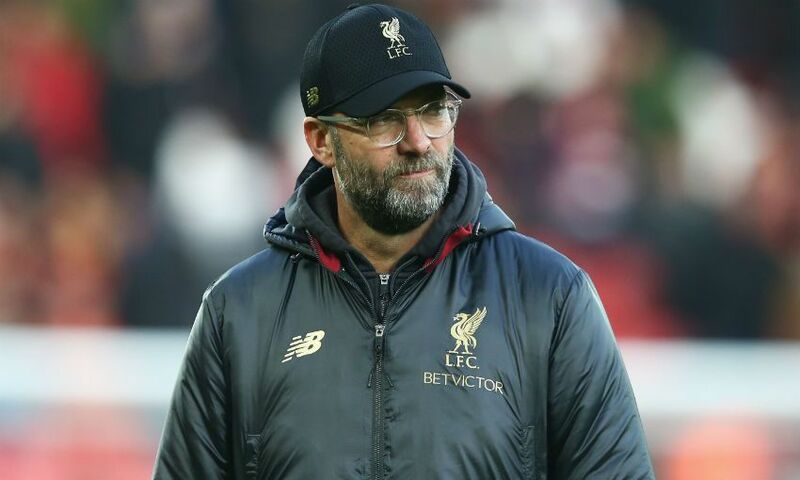 The Reds will walk out at Anfield aiming to maintain their position as six-point leaders at the top of the Premier League table in their final game of the calendar year. However, the Gunners have flourished under the tutelage of Unai Emery this season and Klopp is well aware they’re capable of taking full advantage should his side not be at their maximum level – and feels supporters have a huge part to play in ensuring that doesn’t happen. He wrote in his column in the official matchday programme: “Unai is one of Europe’s top coaching talents and it is zero surprise to anyone who knows his quality that he has imposed himself so quickly on the club. The team already plays in a manner that reflects what he looks for: organised and adventurous, with quick, clever and skilful players all over the pitch. “This is a team that can and will punish you if you drop even 0.01 per cent of your focus. Our game against them in London was exhausting to watch because of the pace of it and the intensity. They have proved they can strike back in big matches when they fall behind and they have proved they can dominate an opponent also. “I know a number of their players, some better than others, and I know they are winners. Arsenal has it all and I know they have big belief in what they are doing and what they achieve themselves this season. “We have shown against intense opponents and in intense games we step forward with our own quality. We play at our home and we have a healthy belief in ourselves. We all know our jobs and we focus on that and that alone. “There is nothing about this fixture that isn’t fascinating to a person who has real love for football. So, we are blessed to be part of it and our goal is to do our very best to make it an occasion our supporters can remember with joy. We have now completed 19 of the 38 Premier League fixtures, but for us, on this day, the season is about one fixture and one fixture only: this one against Arsenal. “Anfield has delivered for us, so far, by following the same game plan as the players. Our supporters come with the mindset they need to give their all to help the team for the specific game. Anfield – like the team – has, so far, only focused on the game we play on the specific day. “Today it would be great if we could sign off 2018 by following the formula that has helped us so well until now. Team and supporters, giving their all for each other the 90-plus minutes; being smart, being passionate, looking to help bring energy and focus to each other.